I did a short interview with Its Going Down about the meaning of the Christchurch massacre and how we should respond. “IGD: What are the main takeaways from the massacre in New Zealand? I have a short piece about the racist mob attacks in Chemnitz, Germany; the similarities between the Alt Lite and the German Islamophobic party AfD; and what this may mean for the U.S.
MoveOn gave me a couple minutes to explain what the Far Right believes — and how we can organize against it. The video of my talk at Verso Books on June 28, 2017, “The Far Right Today in the U.S. and New York City,” is now online. Apparently people attempted to pressure Verso to cancel the talk beforehand. Afterward, Gavin McInnes seems to have ordered his keyboard kommandos to harass me. You can really tell what’s on the Alt Right’s mind by their comments: Jews, people’s body size, and violence. Pretty funny overall. The talk is about 40 minutes long, and the Q&A goes on for an hour. “Im Fahrwasser Donald Trumps erlebt die radikale Rechte in den USA derzeit eine gesellschaftliche Relevanz wie zuletzt in den neunziger Jahren des vergangenen Jahrhunderts. Der neuerliche Aufschwung begann 2015 zeitgleich mit Trumps Präsidentschaftskandidatur und seinem Versprechen, eine Grenzmauer zwischen den USA und Mexiko zu errichten. Die wichtigste Rolle spielt in diesem Zusammenhang das Erstarken der „Alt Right“-Bewegung, eines internetversierten Zusammenschlusses weißer Nationalist_innen, Antisemit_innen und Anti-Feminist_innen, der die amerikanische Rechte auf eine neue soziale Basis gestellt hat. 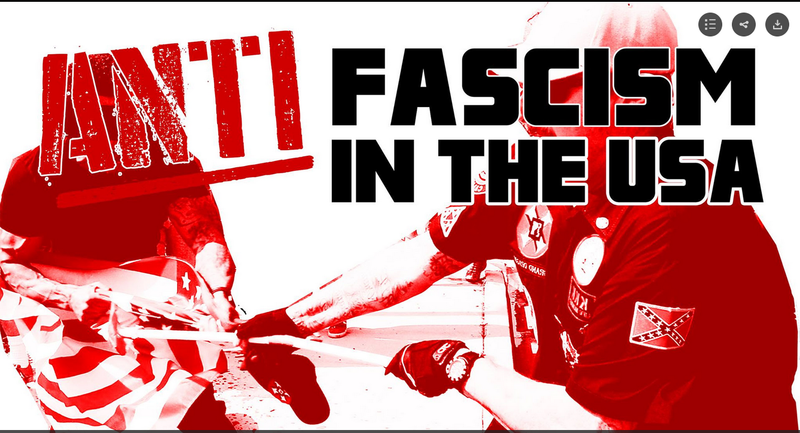 An 40 minute audio recording of my talk “Anti/Fascism in the USA,” recorded in Montreal in April 2017, is now online. I cover how Trump’s presidential campaign energized white nationalists; the question of “Is Trump a fascist?”; the Trump administration’s appointees and their connections to white nationalist and right-wing populist politics; the rise in hate crimes; a detailed overview of the different fascist and white nationalist factions, including the Alt Right; and the re-emergence of the militant antifascist movement. Listen to it on Submedia. “I have been following Far Right movements for more than a decade as a researcher and journalist. 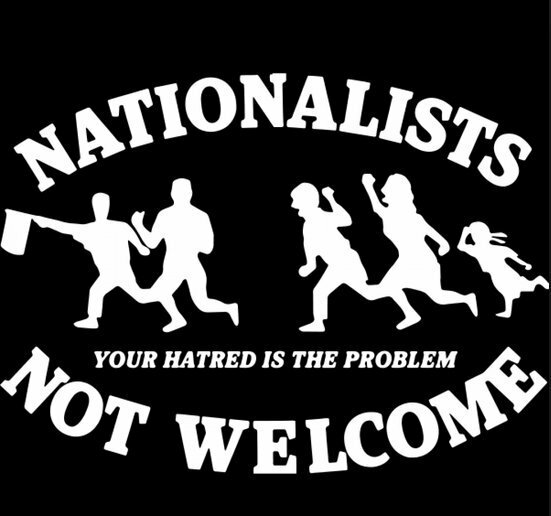 Over the past few months, I’ve seen an increase in the visibility of a new, violent, right-wing street protest movement that I call “Independent Trumpism.” It unites neo-Nazis, members of the alt-right, Patriot movement paramilitaries and Trumpist Republicans. Two things set Independent Trumpism apart from usual right-wing politics. First, the group’s rallies are in support of the president, but are organized outside of the Republican Party structure. Second, mainstream Republicans are appearing alongside open White supremacists, especially at events billed as “Free Speech” marches.